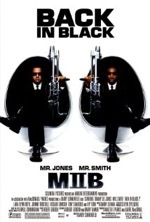 The opening sequence is absolutely brilliant—a throwback to a sixties spy flick. 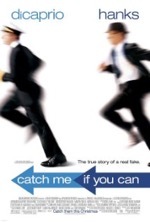 Catch Me if You Can is highly entertaining and Hanks and DiCaprio are spot-on. Catch Me if You Can is so unbelievable at times, that occasionally you have to stop and remind yourself that this actually happened. The Two Towers picks up right where The Fellowship of the Ring left off—in high gear. Like its predecessor, The Two Towers succeeds on virtually every level and will undoubtedly receive another dozen, or so, Oscar nods. But is it as good as the first? This middle chapter of J.R.R. Tolkien’s novel trilogy and Peter Jackson’s movie trilogy is somewhat darker than The Fellowship of the Ring, but still retains the nobler, more human, aspects of this epic tale. The Two Towers takes more liberties with the original text than did The Fellowship of the Ring, but it’s difficult to take issue with any of the changes because they’re either creative additions of logical extensions of Tolkien’s cannon. All of the original cast is back plus a few new faces: Bernard Hill as Theoden, Brad Dourif as Grima Wormtongue, Karl Urban as Eomer, Miranda Otto as Eowyn and Andy Serkis as Gollum, just to name a few. The movie gracefully bounces back and forth between three storylines: Frodo and Sam’s journey to Mordor, Merry and Pippin’s adventures in the company of Orcs and Ents, and Aragorn, Legolas and Gimli’s pursuit of Merry and Pippin and their valiant efforts in the Battle of Helm’s Deep. Emerging from the Shadow, Gandalf the White returns in messianic glory, but blends into the scenery a bit too much this time around. Andy Serkis is brilliant as Gollum, painting every hue in the poor creature’s bipolar existence while simultaneously producing pathos and loathing in the hobbits, as well as the audience. The computer rendering of Gollum is frightening in its realism and clarity—especially around the eyes—and slaughters any previous C.G. character…even Jar Jar. The Ents were another wonderful C.G.I. creation that played a pivotal role in the film: the sacking of Isengard and Saruman’s comeuppance. The Battle of Helm’s Deep, though tweaked from Tolkien’s original, still embodies the same dread and anxiety, and is simply one of the most visceral and heroic battle scenes ever committed to film. The climax, involving the Black Rider in Osgiliath (both elements, again, a departure from the master’s page) solidifies three things: Faramir’s vulnerability to the enticements of the ring (like his brother, Boromir), Sam’s continued, undying devotion to Frodo and Frodo’s sheer mental exhaustion from bearing the ring. 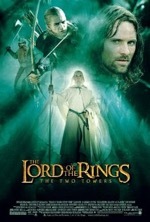 So, back to an earlier question, is The Two Towers as good as The Fellowship of the Ring? No. But if all sequels were this good, I’d make my permanent residence in a movie theater. 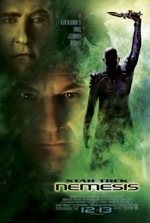 Nemesis, the tenth installment in the Trek franchise is anything if not high octane. All the regulars are back (including a meaner-looking Enterprise), and the thrills and twists keep coming at an unrelenting, slightly sub-Star Wars pace. 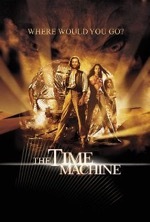 Several major shocks to the system occur near the climax of the film’s near-epic plot, which leave the viewer wallowing in a pool of bittersweet disbelief. The picture gets out of the starting blocks a bit slowly with a wedding between two principal characters, Riker and Troi (Jonathan Frakes and Mirina Sirtis), and a slogging sub-plot that brings Captain Picard (Patrick Stewart), Data (Brent Spiner) and Worf (Michael Dorn) to the desert planet of Kolarus III, where they encounter the disassembled remains of B-4, an android identical to Data (also played by Spiner). Meanwhile, a coup d’etat is brewing on Romulus (home to Trek’s first villains), hatched by the warmongering natives on the sister-world, Remus. The Reman Viceroy (Ron Pearlman) once became guardian and protector to a young human boy in the dilithium (think gasoline for starships) mines of his homeworld, where oppressive Romulan guards bred resistance and animosity into the Reman and his young charge, Shinzon. Now an adult, and self-proclaimed Praetor of Romulus, Shinzon (Tom Hardy) invites Picard and the Enterprise to the new Romulus under a banner of peace and under the watchful gaze of the Viceroy and his “predator” warbird, Scimitar. After a vis-à-vis fraught with tension, Shinzon is revealed as Picard’s clone—a failed experiment of the Romulan government, which intended to swap Picard with Shinzon when he was of age. Events escalate when Shinzon—now rapidly aging—reveals his plot to annihilate the earth with outlawed thalaron radiation. A final showdown ensues between the Enterprise, the invisible Scimitar and some unexpected guests. Nemesis is a grand Trek, painted on a large canvas. It’s fairly easy to detect plot and tone similarities between this film and screenwriter John Logan’s previous, Academy award-nominated, script for Gladiator. What works particularly well here is the duality of Picard and his alter ego, Data and his doppelganger and their significance to the plot (even Remus has light and dark halves). However, for all of its surprises and salience, Nemesis still falls short of the “perfect” Trek: the dénouement is emotional, but somewhat uncertain where the Enterprise crew, as well as the future of the franchise, is concerned. This is only the second PG-13 rated Trek movie, and one can’t help wonder if that other film, First Contact, wasn’t a better example of high-powered Trek. Some heavy issues are explored in Far From Heaven, which are dealt with in a very realistic manner; no fairy tale ending here. Julianne Moore is simply astounding and Elmer Bernstein’s score perfectly captures the wistful mood of a forbidden love that can never be realized. It’s not often that I utterly despise a sci-fi movie, but here’s the exception. 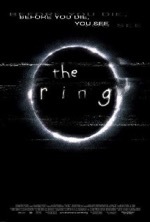 Dark, claustrophobic and static (not to mention, boring), the movie has no redeeming qualities. Solaris is pure, mind-numbing existentialism. As I walked out of the theater with a good friend of mine, he said, “Finally something with some meat.” I couldn’t have said it any better if I tried. 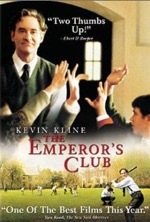 An engaging and heart-warming story with an Oscar-worthy performance by Kevin Kline, The Emperor’s Club easily earns my highest recommendation. 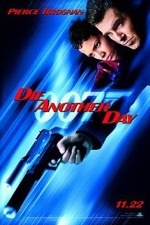 As Bond films go, this is probably the cream of the crop. And yet…it’s overstuffed with unbelievable action sequences, a smattering of double entendres and the requisite one-liners so stale they leave you reaching for a Rolaid. 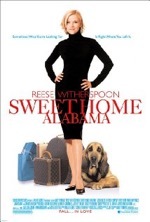 There are a lot of things about this movie that are charming, and it’s nice to see a separated couple get back together, but some crass speech, foul language and crude humor really keep me from giving Sweet Home Alabama my full recommendation. 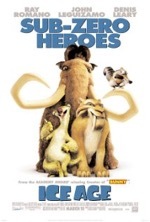 This movie could have been so much more. 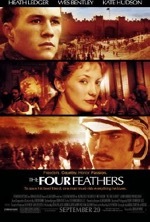 Besides fudging on the history lesson, The Four Feathers failed to deliver on the emotion front. 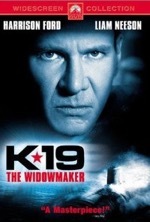 Static directing and uninspired acting add to the film’s malaise and render it mediocre at best. From the writer/director/producer of The Sixth Sense, Signs is a taut thriller that delivers on its promise to keep you on the edge of your seat. Hitchcock would be proud of this effort, which harkens back to V and War of the Worlds, yet maintains its own identity. 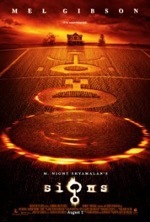 Signs has a great twist ending and a faith-affirming moral. 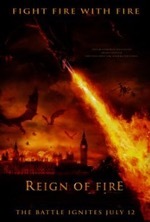 Reign of Fire is the quintessential B movie. Big names like Bale and McConaughey couldn’t salvage the banal and dragging storyline. The characters make leaps in logic that are there only to service the plot…if you can call it that. The animated short about the Chub Chubs was much more entertaining than the M.I.B. 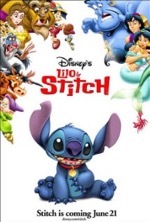 sequel, which suffered from an anemic plot and scant, if not non-existent, character development. I’d already seen the best scenes in the trailer. This one is mediocre at best. This is the first film in 2002 to deliver on all the hype and actually offer quite a bit more. 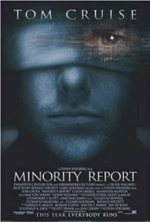 An oft-dark vision of the future, Minority Report posits the notion that you can change the future; a powerful message even without the excellent plot and eye-popping effects. 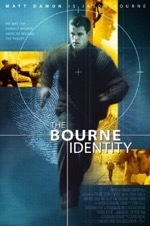 Intense from the word go, The Bourne Identity has great action (fight) sequences and plot to spare. Damon is surprisingly good in the lead role and the supporting cast is equally strong. Don’t look now, but Damon may have finally caught up to (if not surpassed) Affleck. A taut action thriller, The Sum of All Fears had a riveting set-up, but lost all credibility with its abrupt ending. 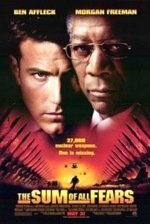 Affleck and Freeman are good, but really aren’t given much to do in the film. I’m afraid it doesn’t measure up to the other “Clancy” movies. 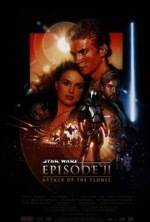 I instantly liked this movie and maintain that it’s a hyperspace jump ahead of Episode I. Christensen’s acting left me cold, but Attack of the Clones has some semblance of a plot with a couple of major twists near the end. Verdict: Better than Episode I, not nearly as good as the original trilogy. This is a comic adaptation that delivered. 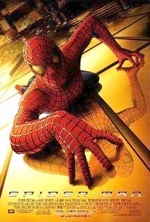 What makes Spider-Man work is its humanness. McGuire plays the title role to perfection and connects the audience to the human aspects of this super-human character. The “origin” plot was much more interesting to me than the predictable ending, however. It’s been a long time since I’ve been in an audience that clapped at the end of the movie. It’s been a longer time since I’ve cried while watching a movie. 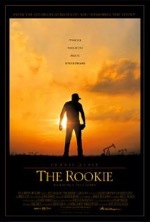 The Rookie is simply the most inspiring movie I’ve seen in a very, very long time. 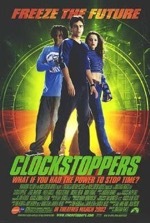 A little on the pedestrian side, Clockstoppers succeeds at being a first-rate teen movie that never takes itself seriously and has a lot of fun—if not campy—moments along the way. There’s nothing Oscar-worthy here, just a fun, family flick. How could I not give this movie a multitude of stars? 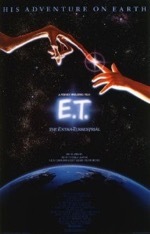 The new scenes, though few, are nifty, and it was nice to see an innocent Drew Barrymore again; but truthfully, E.T. never did anything for me emotionally. Perhaps it’s because I first saw it when I was 29 (I know, I was born under a rock). This modern take on H. G. Wells' classic sci-fi novel has some new plot twists and a new romance, but doesn’t have the soul of the original. At the end, the time traveler may have had a promising future, but as a viewer, I had unfinished business in the past. 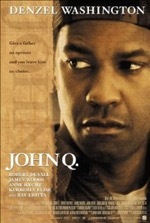 An emotionally taut thriller, John Q is held back only by a predictable plot. Denzel Washington delivers an Oscar-worthy performance and the supporting cast is exceptional as well; especially Robert Duvall, James Woods, Anne Heche, Ray Liotta and Eddie Griffin—the “Slapaho” guy. Michelle Pfeiffer is solid. Dakota Fanning is an angel. Sean Penn is sensational. The story is good; but I wasn’t overly thrilled with the ending. After two and a half hours of fairly good entertainment, I Am Sam failed to resolve to my satisfaction. 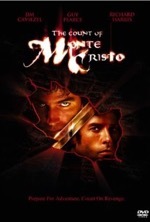 A faithful re-telling of Dumas’ classic novel, The Count of Monte Cristo was one of the biggest underachievers on the big screen this year. Every aspect of this film was finely crafted, and yet, it was overlooked by the Academy and millions of moviegoers alike. A truly exquisite film—and would you expect any less from Ron Howard? 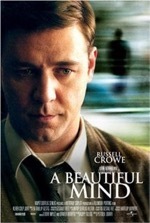 Cerebral and convoluted (much like a brain), A Beautiful Mind is a powerful true story of love and courage, compellingly brought to life by Crowe and Connelly.